The Women’s mental health programs have received a welcome boost with Liptember announcing a $400,000 donation from its 2016 campaign – tipping its total fundraising efforts for the Women’s to over $1 million. 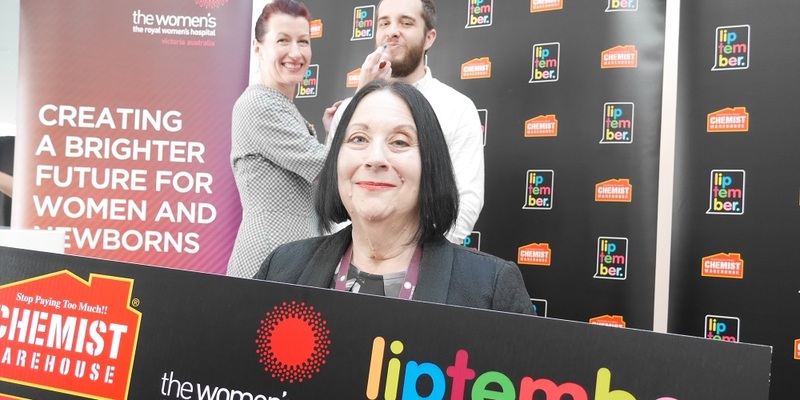 The Women’s Foundation CEO Jan Chisholm congratulated Liptember for a successful 2016 campaign, thanking the organisation for its ongoing support of the Centre for Women’s Mental Health programs. “We are so proud of what the partnership between Liptember and the Women’s Foundation has achieved over the past six years. This year’s fundraising efforts delivered Liptember’s largest gift to date of $400,000 and brings the total amount Liptember CEO Luke Morris, his team and Chemist Warehouse have raised for our Centre for Women’s Mental Health to over $1 million – that’s a really important contribution to women’s mental health,” Ms Chisholm said. Liptember CEO Luke Morris presented the $400,000 cheque to Professor Louise Newman, Director of the Centre for Women’s Mental Health. The annual fundraiser also raises funds for the telephone service Lifeline, who also received $400,000 today. Read more about the Safe Mothers, Safe Babies program.